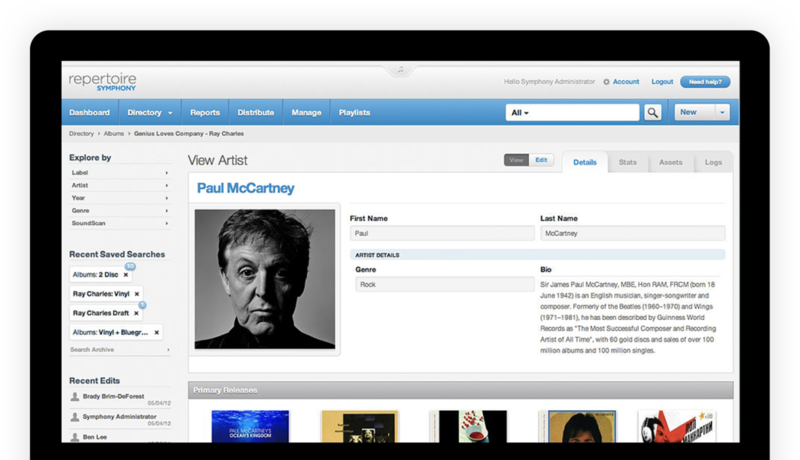 The objective of this suite of web applications was to replace a group of decentralized legacy tools with a modern system that integrates all major aspects of record label operations, and unifies them around the label’s most important assets — its catalog. 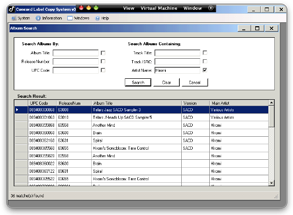 Repertoire serves as the central repository for all assets in the Concord catalog, including albums, tracks, merchandise, and works, along with its accompanying meta-data, including full information on artists, songwriters, and publishers, as well as product and project management infrastructure. 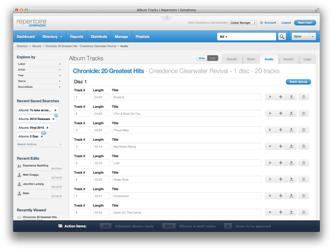 Repertoire also manages audio, video, and still images, combining the meta-data layer with digital media assets making for a rich and efficient content experience that has enabled Concord’s Licensing division to create and leverage catalog assets quickly and easily. Today, the Licensing group can create and share a compilation album with a partner or potential licensee in under five minutes. 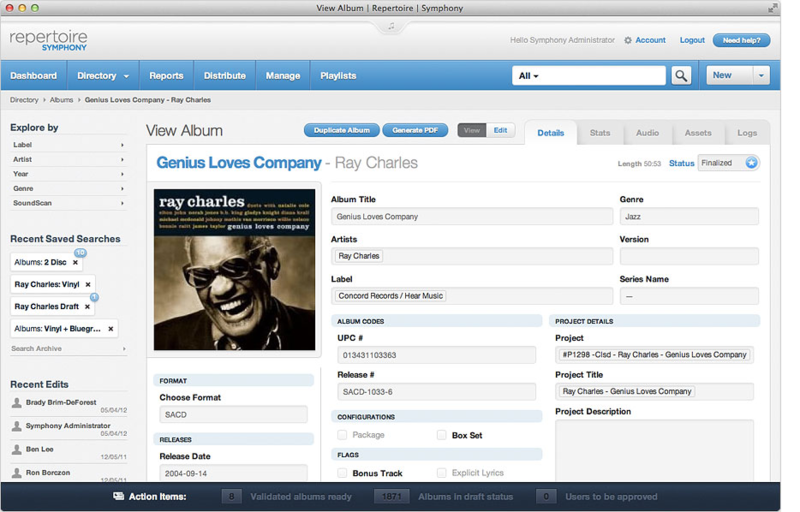 Full support for distribution through both digital and brick-and-mortar channels on the album, track, and label group level is also integrated into the system. 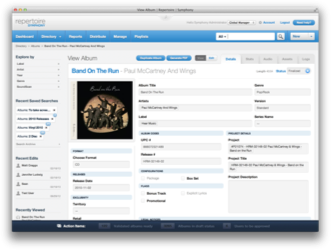 Going one layer deeper, Repertoire provides critical visibility into the performance of Concord’s catalog through integration of data feeds from Nielsen SoundScan, internal inventory management systems, internal and partner sales systems, social media networks, and industry organizations like the RIAA. For the first time, Concord management has a unified view into their entire catalog supported by real-time statistics and metrics, all through a powerful, modern, and usable interface built with best in class development techniques and leveraging HTML5 and CSS3 — making the entire system fully compatible across modern desktop browsers as well as mobile form factors. 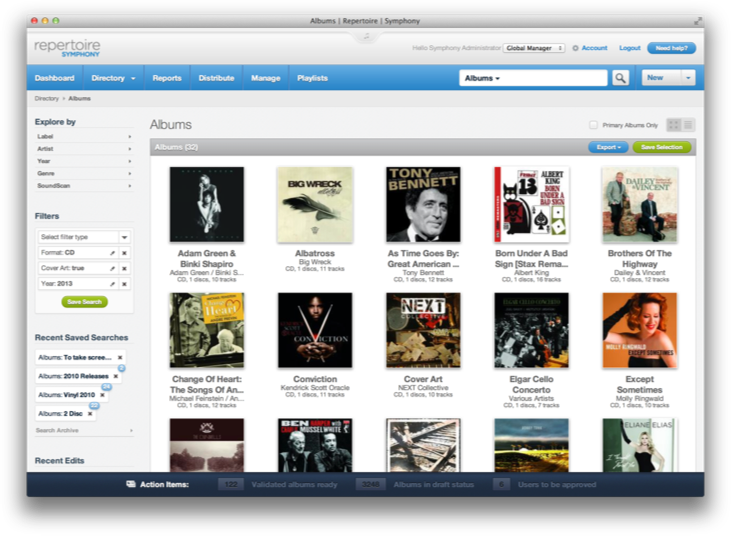 Repertoire was conceived and designed in close integration with actual users. Application of lean UX and data-driven design principles allowed for rapid, iterative deployment of new features. A/B and multivariate testing were employed extensively by the design team in order to refine user interactions and conversion funnels for user goals and objectives. Today, Repertoire provides real-time access to the Concord library of content to over 300 users in different cities across the United States and different departments within the organization. 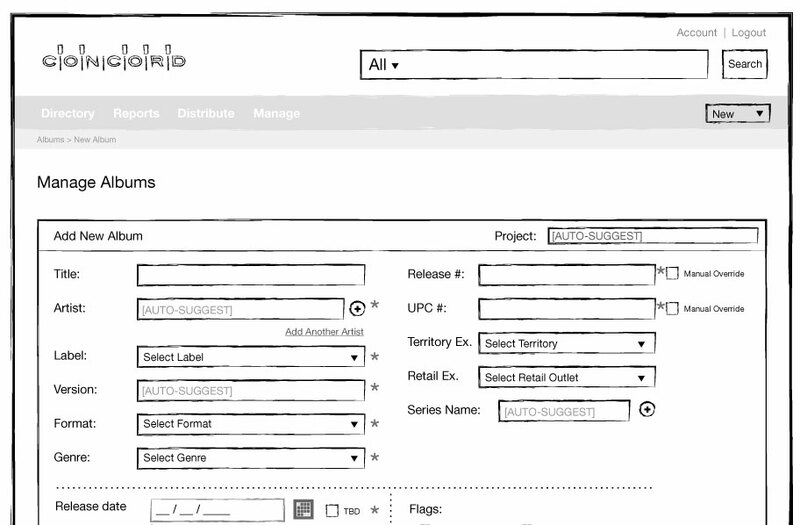 Wiresketches document features and functions on a screen by screen level of detail. They define the visual structure of the application, and serve as a blueprint from which the engineering team can make technical stack selections, begin building their data model, source libraries, and prototype the initial functional application core. 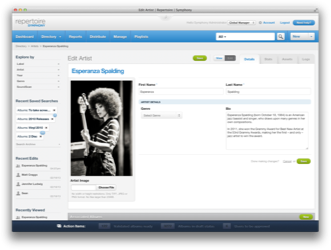 The Visual Expression Platform is the visual palette for a product. Using the functions defined in the wiresketching phase, we design pixel perfect screens that define colors, texture, typography, and other elements of the visual design for each of the primary screens in an application. Concord had an impossible timeline, and we stepped up to the task. From discovery to launch of an initial MVP, Theorem's fullstack squad delivered production-grade software in less than 60 days. Symphony was nominated for Best Strategy Ease of Use for End-User Interface at Createasphere’s annual Digital Asset Management Conference DAMMY Awards. This category recognizes Digital Asset Management systems for outstanding intuitive user experience.